‘While harm reduction can be viewed as an end in itself with a focus on mitigating harm to individuals, families and the community as a whole, harm reduction strategies can also be viewed collectively as a platform or point of access for promoting long-term health, and, for those with severe alcohol and other drug problems, long-term personal and family recovery. ‘Harm reduction and abstinence approaches for the management and resolution of AOD problems have often been presented as binary choices within what have often been vitriolic debates within the AOD problems arena. At a policy level, there has similarly been a tendency for governments to focus on one or the other of these strategies while marginalizing the alternative. What we have attempted to explore in this article is how such approaches might be more effectively integrated to achieve greater balance at both social policy and service practice levels. 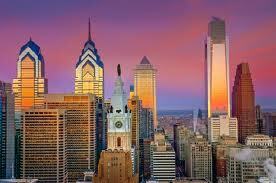 Spurred on by a philosophy that holds long-term recovery as the ultimate goal for all individuals with AOD problems, considerable efforts have been exerted by the City of Philadelphia to achieve integration of AATR and HR approaches. However, many questions remain about the desirability, mechanics, and outcomes of such integration. What is clear is that the chasm between HR and AATR principles and practices is being bridged with hybrid approaches that integrate public health and clinical perspectives. Such integration may well constitute the future for the management of the most severe, complex, and chronic AOD problems. Public health and medical models of intervention into AOD problems can each result in a depersonalization of the very people they are intended to serve. Resilience and recovery perspectives may offer a way to humanize both approaches while retaining their most valuable elements. Hybrid models that blend elements of HR and AATR may be particularly well-suited for individuals and families who have been difficult to reach, engage, treat, and reintegrate into mainstream community life through traditional service programs.